Visual producers have a literal hand in pushing forward paradigm change across disciplines—a distinction that is notable from pre-Renaissance times onwards. In this presentation, I consider the relationship between imaging and intellectual development in relation to the present and future of archaeology, with special emphasis upon digital visualisation. Archaeological digital visualisers often hold tenuous roles in the discipline, not uncommonly relegated to the sidelines—underpaid, undervalued, and regularly accused of stripping the field of its craft skills. However, I argue here that such an outlook is misguided and obsolete.Via reference to the work of multiple practitioners contributing to the visual representation of the Neolithic site of Çatalhöyük in Turkey, this talk proposes that awareness of the affordances of digital visual outputs, and proficiency in their crafting and circulation, have deeply productive consequences for the ongoing elaboration and basic sustenance of our profession. I concluded my BA in "Preservation of Cultural Heritage and Archaeology" at the University of Bologna in 2008 defending a dissertation work titled :"The management of three-dimensional data in the stratigraphic excavation of SHM-1, Hergla (Tunisia)". The research was focused in the creation of 3D model of complex stratigraphy through GRASS. 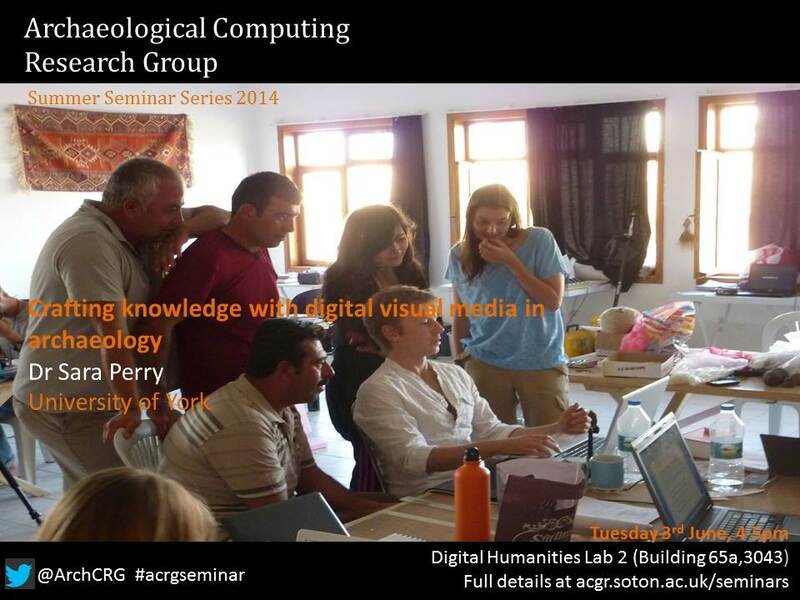 In 2009, I started an MSc in Computing Archaeoloy (Virtual Past) at the University of Southampton. My dissertation was focused on Late-Holocene Landscape virtual reconstruction of Sebkhet el Menzel, Tunisia.